The perfect combination of style and durable design, this beautiful backless bar stool from OSP Designs makes a terrific addition to any kitchen counter or breakfast island. Its industrial style makes it an easy fit in any room or location in your home. This base frame is designed with a beautiful grey finish that adds a touch of style to any decor. 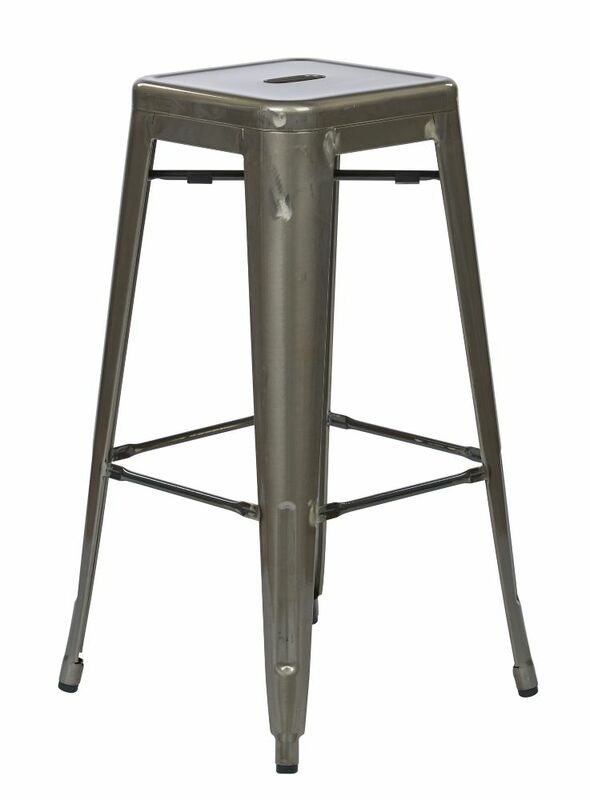 Bristow Metal Grey Industrial Backless Armless Bar Stool with Grey Metal Seat - (Set of 4) The perfect combination of style and durable design, this beautiful backless bar stool from OSP Designs makes a terrific addition to any kitchen counter or breakfast island. Its industrial style makes it an easy fit in any room or location in your home. This base frame is designed with a beautiful grey finish that adds a touch of style to any decor.